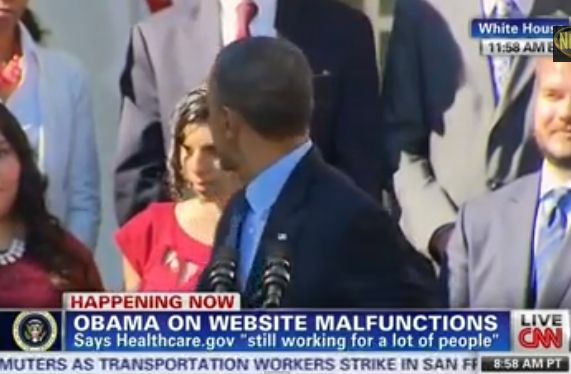 President Obama Catches Fainting Woman During Obamacare Speech. I’m not going to spend too much time writing about this, here’s the short version. Obama gives speech about Obamacare, woman faints, Obama turns around just in time to save her. Makes joke about long speech, waits for applause. Just a bit too obvious this time Barry, we’ve seen it all before. This entry was posted in globalists, Health, latest headline news, Matrix, News, obama, US and tagged nwo, obama, obamacare. Bookmark the permalink. ← Cliff Richard Waves 200 Children Off To Florida. Yeah a good catch (geddit?) 😉 well spotted. The worst among us!